Oklahoma health officials strongly recommend child immunizations, reminding parents each year that the vaccinations are required for attending school in the state. And community groups even provide free shots for kids regularly. However, some parents are opposed to immunizations for various reasons, and the Oklahoma Immunization Act, passed in 1970, allows exemptions to this requirement. Below is detailed information on Oklahoma immunization exemptions, for ways to avoid getting your child's vaccinations if you so choose. Before any child can be admitted to any school, public or private, in the state of Oklahoma, parents must show certification of immunizations. Required vaccines are Diphtheria, Tetanus and Pertussis; Poliomyelitis; Measles, Mumps and Rubella; Hepatitis B; Hepatitis A; and Varicella (chickenpox). There are very specific dosage and requirements, so ask your doctor or see the Oklahoma Department of Health's current regulations document. The decision, of course, is a parent's to make. However, as noted above, the state health department, and in fact, nearly every authority on health, supports a vaccination schedule for children. Unfortunately, there is a great deal of misinformation out there about immunizations, and this misinformation sometimes causes parents to opt out of vaccinating their children. Whatever choice you make, it is important to be informed and knowledgeable. Talk to your doctor and health department officials, and review this list of popular vaccination myths before making up your mind. What Are the Allowed Reasons for Vaccination Exemption? Immunization exemptions are allowed in the state of Oklahoma for "medical, personal, or religious reasons." A child can be exempt from one or more vaccines but still get the others. Medical: If a medical condition could cause a situation in which a child is harmed by the vaccinations, a parent can receive an exemption. However, the parent must have a signed statement from a physician. Personal: For personal objections to immunizations, a parent or guardian simply needs to detail the specific reasons in a signed statement. Religious: Similarly, religious objections can be summarized in a signed statement to justify an immunization exemption. Note: Exemptions are not allowed due to lost or unobtainable vaccination records. How Do I Get an Immunization Exemption in Oklahoma? To receive an exemption from the school immunization requirement, a parent or guardian must fill out an exemption certificate. These can be obtained at the child's school. If the school is out of exemption certificates, more can be ordered by calling the state's Immunization Service. Doctors and county health offices do not have the forms, nor does the Oklahoma State Department of Health office, but they are available for download online. After completing the form and providing any additional required materials such as a physician statement, exemption certificates should be returned to the child's school or child care facility for processing. It is sent to the state, reviewed, and then approved or disapproved. If approved, the exemption record will be on file with the school. The exemption form contains an important note at the bottom regarding outbreak situations. If a disease outbreak were to occur, for the safety of both him/her and other students, a child with an immunization exemption could be excluded from the school or childcare facility. 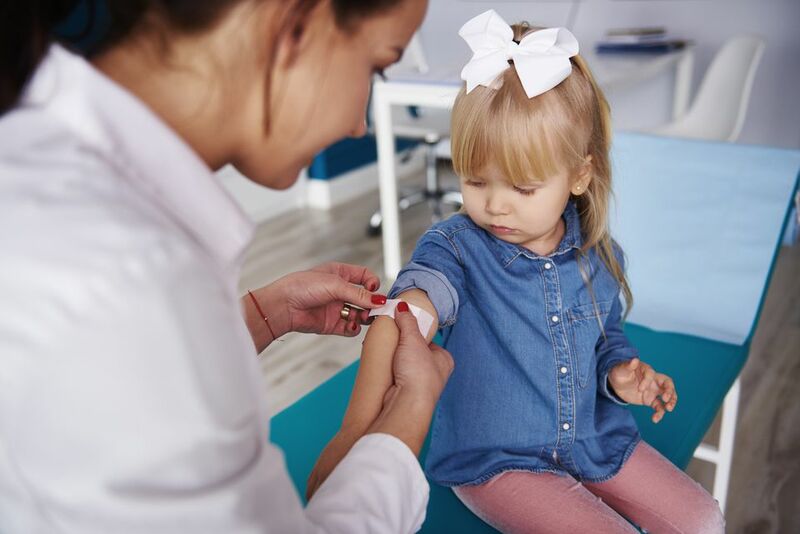 According to the American Academy of Pediatrics, the overwhelming majority of parents choose to vaccinate their children, so if you decide not to receive an exemption and proceed based on their recommendations, the first place to check is with your child's primary care physician. If you are unable to afford a doctor, the state may have options to assist. Check with your local county health department, or check out the Oklahoma Vaccines for Children program. It offers vaccines for low-income, uninsured, and under-insured children.